ive been in love with felt ever since 2008. back then, i did not know that the material is called felt (*blush*) as i often bought the DIY at Living Cabin and the box are all written in Chinese, but they have the printed tutorial, hence the language difference is not a big deal. so here's my first felt ever. then i was overload with my works and studies and planning my wedding that i simply lost interest in felt. 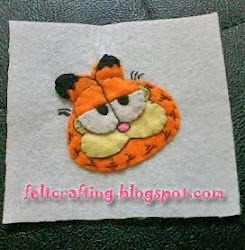 but now, as i am expecting, and got so many MC, i started buying the DIY felt again and simply felt in love with felt. again. here's what ive come out with during my bed rest day. mind you that the handphone strap is not attached yet. 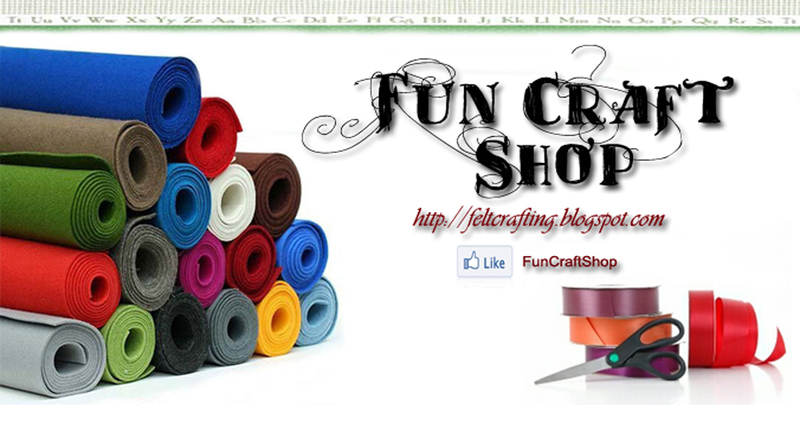 i started googling around and found so many online and free templates of felt! omg! im so going to do all that! but, most of the free templates are for girls, and i am expecting a boy. so, the dollhouse, nah. out of list! 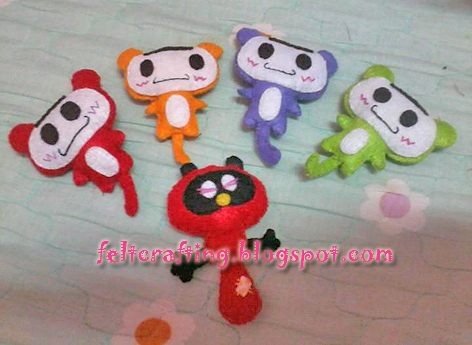 RM60 for 50 A4 size felt. ok, fine, u could go to Daiso and get 1m felt for only RM5, but a beginner like me, i need most of the color that i could find. once u have the varieties of colors, then, any project can be done. owh, i am so in love with felt!